You can, for example, below the "About Me" section. No more having to squint through long list of HTML to figure out where to paste the script. Isn't this easier than the old method? Update on statcounter: Someone commented that statcounter in Blogger Beta doesn't work for individual post page. I decided to check that out by checking my statcounter statistics. I viewed the "Popular Pages" and found that there were hits counted for individual post pages, so it proves that statcounter added in the way described in the link does work. If you want to see a screenshot of that statistic, surf over to Problem with statcounter in Blogger Beta? (close new window to get back to this page). The screenshot is at the bottom of the page. Update 23 February 2007: A reader complained of not being able to add statcounter in New Blogger. I have added statcounter into many blogs in the manner described above, some of them without ticking "XHTML Comppliant" and they worked, as I have explained in the update above. However, if you want to be sure, tick "XHTML Compliant" to generate the script for the statcounter (see screenshot below). For me, I have found that there is no difference, but if you are having problem, try that and see. Note that if you are reinstalling statcounter, you don't have to start from scratch. When reinstalling, click the spanner icon to start off from where you left off. thanks for the info. this is very appreciated. Well, I have asked the Blogger Team and now awaiting their answer, if any. are you sure about the no index no follow, i'ts only displayed on your test page under a privacy widget. Also has anyone had difficulty implementing the Adsense for search feature in beta? Does this mean, we have to put our sitemaps over here as well? Our have our sitemaps automatically been moved from blogger to beta blogger? From your question, I am assuming that you were invited to join in the Beta program program and migrated from there. I weren't, and considered myself lucky I weren't. I was more cautios and set up a new gmail to start the Blogger Beta blog. So I don't know if the metatag for verification purposes have migrated over to your new template. You can check page source and see if it is there, though you can't edit or add it in if you don't. Is there a way to get the ad into the post on the main page. for example if I wanted a small text add after the post but before the comments and tag section. This is for Blogger classic. Look at post For ads after each post, where to paste the codes. 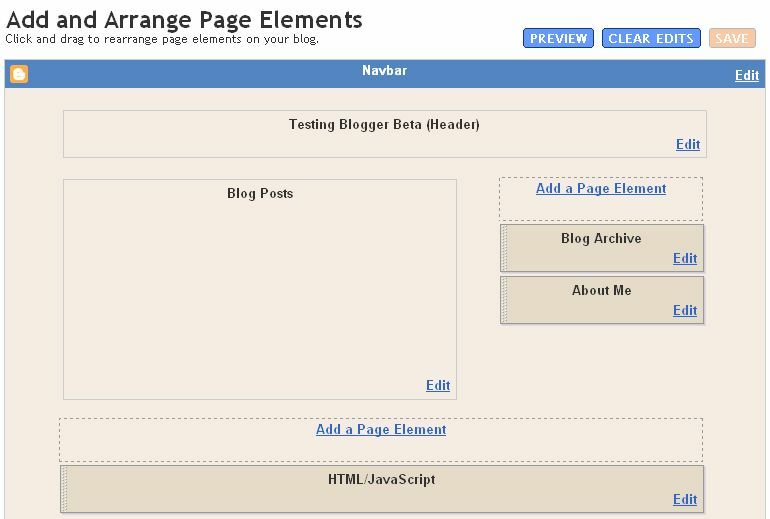 I haven't looked into the Blogger Beta template yet to see if the same method can be used. How do you get your ads to appear on the left of your text, instead of the right? On my blog, I cannot figure out how to do the adsense wide skyscraper without it significantly altering my text. Thanks! The instruction on how to get the sidebar (and the skyscraper ad) to display on left is at How to get the sidebar to display on the left. Thanks, Peter. You are generous in providing help. The problem isfixed if you put GoogleAdsense in one of the "page element" of the template; if you want to put your Ads elsewhere, it seems that you still have to delete the "comment tags" from the AdSense script. The post was done when adsense ads could not be displayed by adding the script via "Add a Page Element". Then the fix about removing the comment tags was added, but the remark that it will be against the adsense Program Policy was also made. AdSense and/or Blogger have solved the problem, the post was updated again to inform the visitors. If you have read the whole post, you would have noticed it. Perhaps I should redo the post rather than just adding updates, but there are time constraints. Maybe one day, I will do it. In the meantime visitors should take the trouble to read the whole post. A note to readers of my blog. I am forced to remove some comments because the commentor left long unbroken line of URL. The post is OK in FireFox, but in Internet Explorer, those comments caused the sidebar to slide to the bottom of the page. I think the comments were left by Turbo. I have removed the comments and that problem is solved now. So please do not leave comments that are long unbroken lines. Also do check your blog (and post) occassionally in IE for problems like this. Incidentally, I have problem seeing the trashcan icon in the comment to delete the comments althogh I was logged in, but with some help from Blogger support, I finally managed to do it. If you face similar problems, watch out for new posts because I intend to publish a post about it when I have the time. Great work!I like your blog because you explain everythng so good.Although I am from Greece and don't speak english very good.I have some problems and want to ask you can you give me your email please? Thank you so much for this site to help us dummies work the new Beta version of Blogger. You have helped me out tremendously. I did not like the new version at first because I couldn't figure out how to do anything. But now I am learning how to do alot and it is making my page so much nicer. Thank you so very much!!! Hi Peter, I started a new blog Thursday because I still hadn't gotten the invite to switch my old blog to Beta. So far, I like Beta A LOT! However, for the life of me, I cannot figure out how you were able to get AdSense ads to run horizontally just after your title box. AdSense in my template is restricting me to vertical ads or the smaller buttons. Thanks for your helpful blogs! Have a look at this post Adding graphic to your blog header. It was written for a graphic, but you can use it for adding adsense scripts, etc. Actually that post need a bit of editing. I think you have to first count the no. of HTML page element, then add a blank (or &lt!-- some text -->) and look for the next HTML widget. I need to do a bit more of testing and editing of that post. But I hope from that post, you can get the method for your blog. Thanks for the link, which will be useful for my readers. However, wouldn't that tip on your link have the same effect as using the method outlined in this post Blogger Beta: Adding AdSense or a permanent "sticky post" at the top of the main column? Hi Peter, thanks for this tweak. It is not deniable that this tweak work well for sticky post purpose as you have said. In the context of embedding google adsense properly in beta blogger post, it is more direct by using footer element and drag it up to post header, as mentioned ealier. How about custom channels for adsense in Blogger Beta? Were U able to set this up? Scripts and custom channels are generated in the AdSense account, and you will be able to paste the script into Blogger Beta without any problem. Are you having problems with that? Someone using Blogger asked how he could get his adsense advertisements to appear on the left, and his sidebar on the right (rather than piling everything on one side or the other, as the Blogger template does). I notice that you, Peter, have managed to overcome this problem...how did you do it? Your blog has adsense ads on the left, your sidebar on the right, and text in between. The link you provided earlier siimply tells people how to move the index and body from left to right; it does not tell people how to do what you have done on your blog: ads on left, sidebar on right, and body in between. Personally, I prefer Ramani's 3 column template as it fits in nicely into a 800x600 screen resolution. 5-20% of my blogs visitors are still using this small screen resolution. Thank you, Peter, for the prompt response, and for letting me know at my blog that you had posted a reply. How are you installing statcounter? Via "Add a Page Element" in the Layout as described in the post? If so, you should have no problem. If you want to be sure, perhaps when reinstalling the script for statcounter, select "XHTML Compliant". See the screenshot in the update in the post. Let me know if you have any further problem. Do you know how I can post other ads to my blog? A few merchants in town want to advertise on my blog but I don't know how to script ads in blogger and can't find out how to do that. Or they may want a clickable image to lead to their site, in which case you should check out this post: How to put a clickable picture in the sidebar. Everything depend on what they want. Michael said: "but I don't know how to script ads in blogger "
Thanks for your clear and helpful guidance. After floundering for more time than necessary in an attempt to add a hit counter, I found and followed your advice and was finished in less than a minute. Hi Ishkabibble and others who have taken the time and trouble to experss their appreciation. Thank you very much. How do you add a page element in another column so that you can easily manipulate the column? Sorry, don't fully understand the question. Are you referring to adding a third column? If so, refer to this post Adding a second sidebar to your blog or for ready-made 3 column templates, refer to 3 column templates for New Blogger modified by Charlemagne Stavanger. If you are referring to get a "Add a Page Element to the top of the main column, refer to How to add AdSense ads, search box, "sticky post", etc. at the top of the main column. 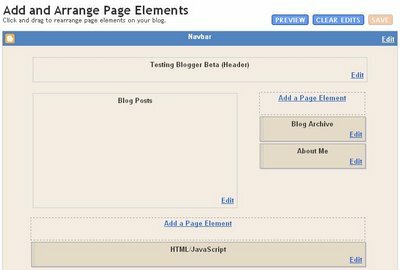 My blogs don't have the Add Element and Html/Java at the bottom of the elements page like the image you have. Is this because of the type of template I'm using or am I missing something? How do I get this? Thanks. If the Add a Page Element is missing from the footer, it is probably because of the template you are using. If it is missing from the Header or the Main Column, that can easily be added. i just got mywebsite built a little better then when i started and got some google ads and things. Thank you so much you were very helpful!! Please tell me how to add meta tag at beta blogger. Thanks, very helpful site, your time is well spent. You add meta tags the same way as for old classic templates. You got to get into template editor (LAYOUT > TEMPLATE > EDI HTML) and add the the meta tags between the <head> and </head>. Or easiest to explain, you can add them immediately after <head> tag, or immediately befor </head> tag. You can contact me by leaving a comment. 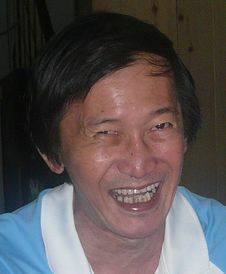 Peter Chen, your info on this site has been very helpful to me, so much that I have added a link to you on my blog. I am new to blogging, i have signed up for an adsense account, it has been approved and it is supposedly on my blog, I cannot see any ads, can you offer me any advise on how to fix this. Hey thanks for the info! There are many changes with AdSense. It take a while after you added the script before you see ads. I am sure you are getting ads displayed by now. i'm just a little confused by the adsense codes. I started off generating 1 code and pasted it in my HTML editor after the "body" tag (blogger minima 4 column from you ... thank you :) then i added adsense page elements. the ads came out but my whole blog is pushed down about 2 inches from the nav bar. I kept looking for info on where to paste the adsense codes, and if i have pasted them right. i discovered that you can generate more than 1 code... for different ads configuration... but where do i put 2nd 3rd 4th codes? then i remembered HTML/Java page elements. I deleted all i've done above, generated new adsense codes 2 links 2 unit ads, in correct configuration, and pasted them in the HTML/Java page elements. the ads have came up and my blog has gone back to it's original place. I'm glad of that but i'm just wondering if it is legal to put adsense codes in the HTML/Java page elements... i dun wanna be banned by adsense. 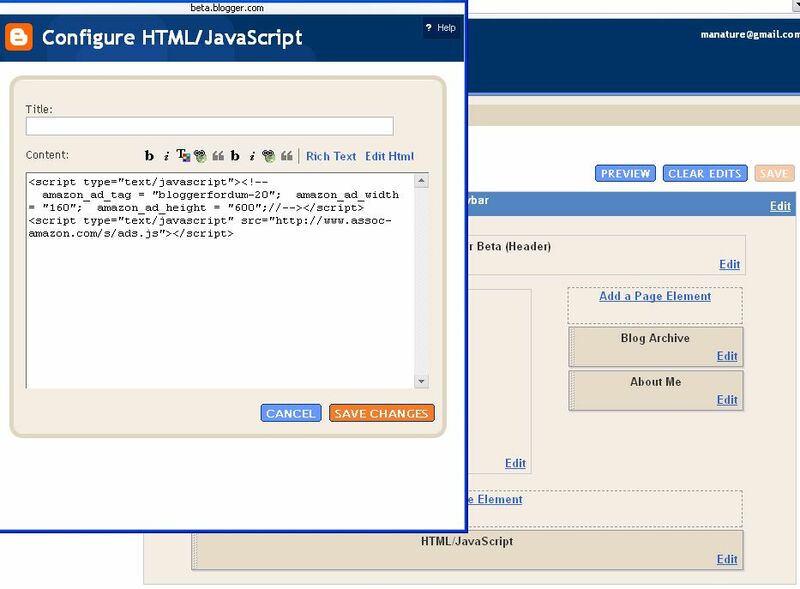 "I started off generating 1 code and pasted it in my HTML editor after the "body" tag...."
Thank you so much Peter! Now i know i'm doin it right! Thank you! it sounds worse than it is. Thanks so much! you're a big help!! To add a visitor counter for you, it means you will have to give the helper your Blogger username and password and preferably your email address as well. Great bit of information! Great tutorial on how to add advertisements! um, i'm still really confused. Hit counter is really quick and easy to set up on your website. Backing up the template, changing template, etc. How to do spellcheck for your Blogger post.